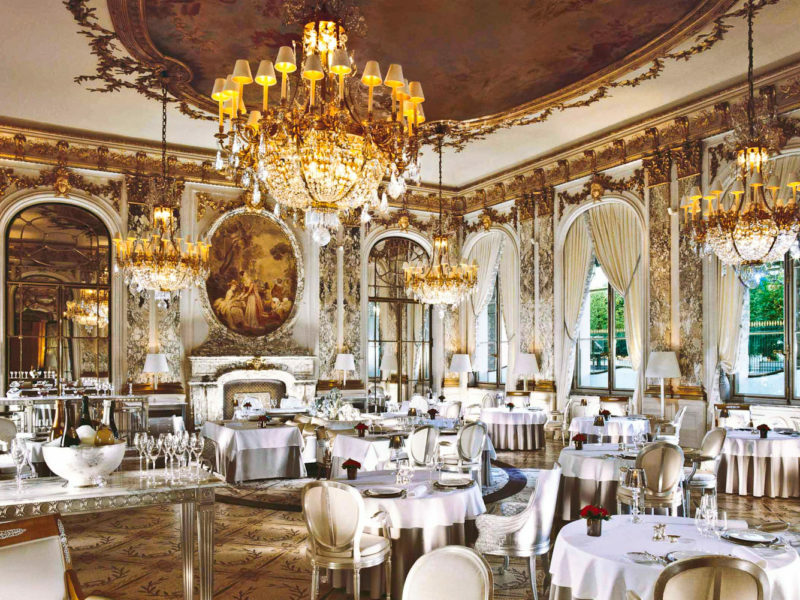 Le Meurice is an elegant world of 18th-century architecture and fine antiques with quite a bit of gold. Philippe Starck’s 2007 refurb adds a surrealist twist (Salvador Dalì was a guest for over 30 years). 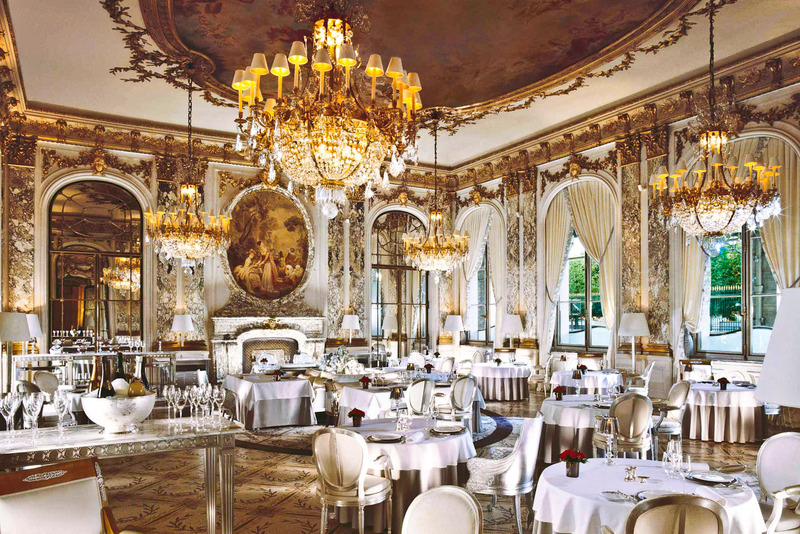 A breathtakingly OTT, Versailles-inspired dining room is the backdrop to the three-Michelin starred Le Meurice. Dali-esque touches (a chair with shoes) highlight the more trendy Restaurant Le Dali. Bar 228 (crystal, tobacco-toned leather, jazz) is a favourite for a Parisian rendezvous. Did you know The hotel gained a reputation in the 19th century for lavish entertainment, with dinners lasting from 8pm until 8am the next morning.